- Investigating sustainable farming techniques to trial and implement on farms; - Ongoing cooperative native animal browsing fencing trials; - Trialling new techniques and/or crops to help farms adapt to climate change; - Linking farmers and newcomers to exchange ideas and share resources; - Investigating soil and other carbon issues; - Integrating with coastal and riparian management; - Improving understanding of Aboriginal Heritage issues; - Implementing weed control works that assist with or compliment the implementation the Tasman Weed Management Strategy; and - Encouraging the participation of more farmers from the Sorell Municipality. This project aims to address these issues and in so doing significantly contribute to the Caring for Our Country targets outlined in the Business Plan 2009-2010. The landscape of the Tasman/Sorell area is a mosaic of agriculture, forestry and native vegetation giving some degree of resilience in terms of the landscape’s ability to recover from climatic and management impacts. However the proximity of pasture, crops and orchards to bushland areas has implications for farm productivity. The control of native animal browsing on pasture and cropping areas is a key issue faced by landholders in the Tasman/Sorell area. This project will improve grazing management by encouraging farmers to work together to reduce the impacts of native animals browsing by implementing cooperative wallaby fencing trials. By reducing browsing, farmers will regain control over grazing regimes in their pasture. 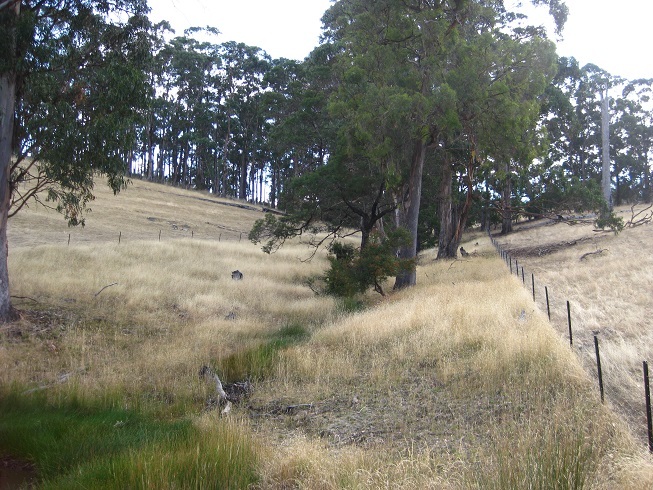 The project will assist farmers to erect new wallaby fencing in strategic areas, upgrade existing fences to a wallaby proof standard and to trial different techniques for difficult terrain, roads, stream sides and the movement of wombats. By working together to plan and implement fencing works, vegetation corridors to allow native animal movement will also be maintained and the impacts on native bush managed. 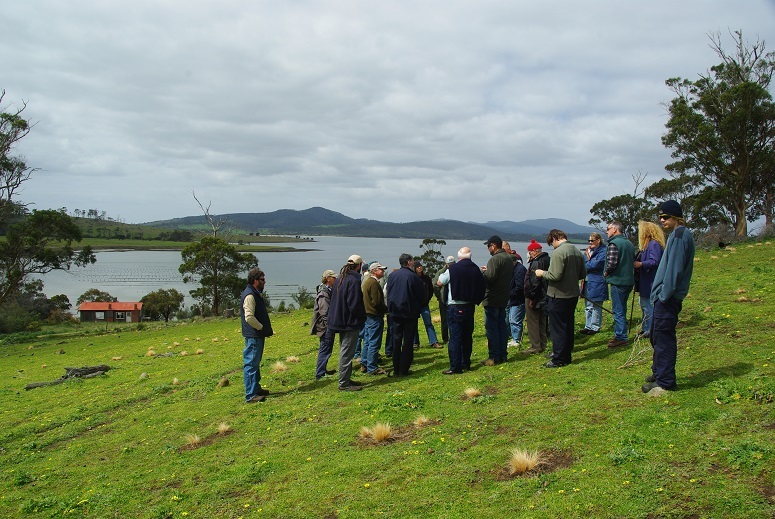 Through the activities of the Tasman Landcare Group’s previous National Landcare Project the number of farmers interested in looking at managing their farms as part of a landscape has markedly increased. This project aimed to assist those landholders to develop and implement holistic plans for their properties by keeping them in touch with current property management planning courses and by providing assistance to implement works that will lead to more sustainably managed farms. 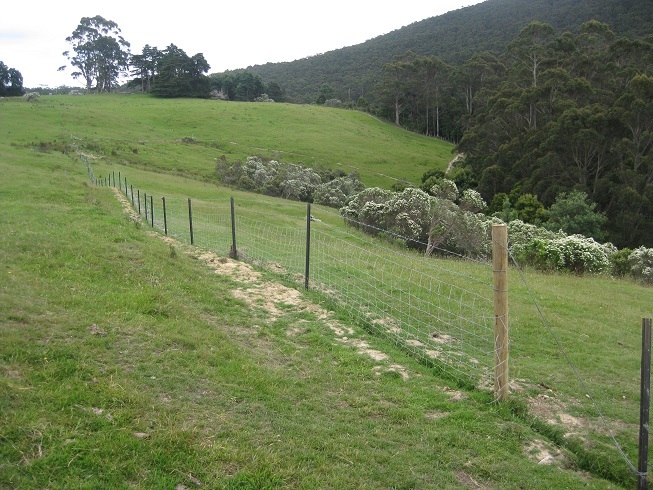 These works included fencing to protect riparian, coastal and remnant vegetation, revegetation of degraded areas, construction of shelter belts to reduce erosion and moisture loss, and assistance with strategic weed control works. The project also offered those landholders opportunities to improve their knowledge and skills through the promotion of training opportunities and participation in the field days.